A basilar skull fracture occurs with severe trauma to the head, as with a blow to the head or a motor vehicle accident. 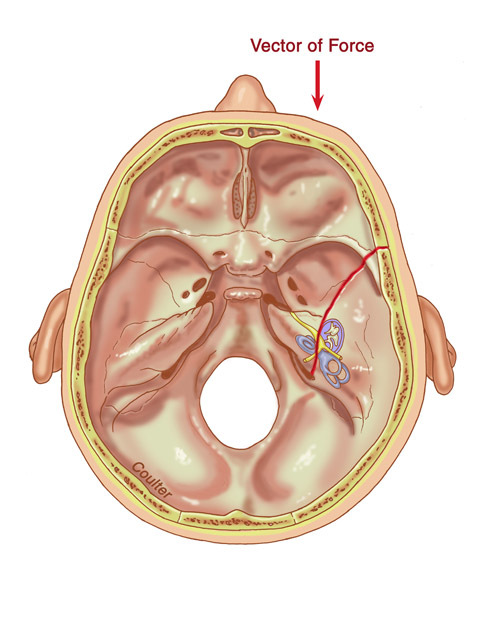 If there is a blow to the side of the head, it can cause a fracture of the skull that extends to the inner ear and often to the geniculate ganglion (longitudinal temporal bone fracture). A blow to the side of the head or ear causes a fracture through the middle ear that extends to the inner ear. 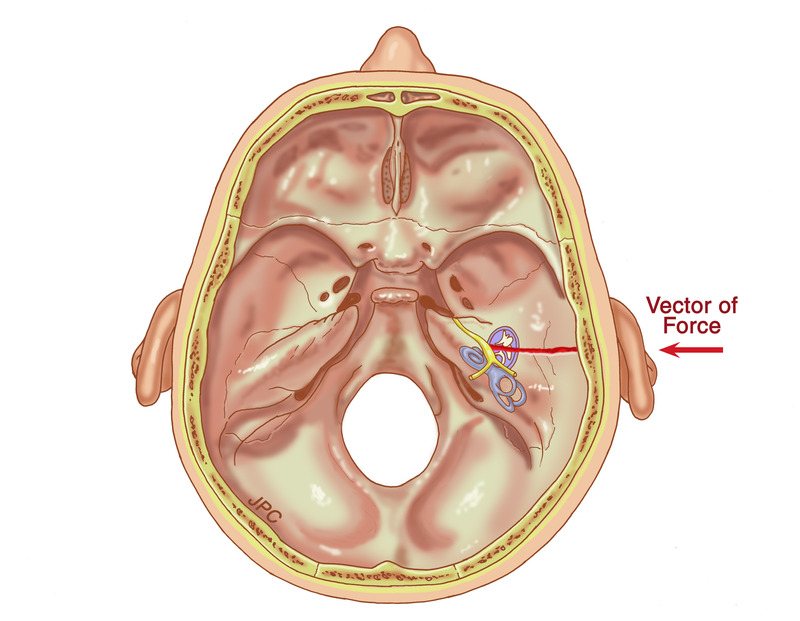 If there is a blow to the front or the back of the head, it can cause a fracture that extends through the petrous pyramid (transverse temporal bone fracture). A blow to the front of the head causes a fracture through the inner ear.